Mossing & Navarre has been selected again to Leading Lawyers Network. Less than 5% of all lawyers licensed in each state have received the distinction of Leading Lawyer. Jim Navarre was again selected as a Leading Lawyer in Illinois by his peers in the areas of personal injury, professional malpractice and criminal defense law. 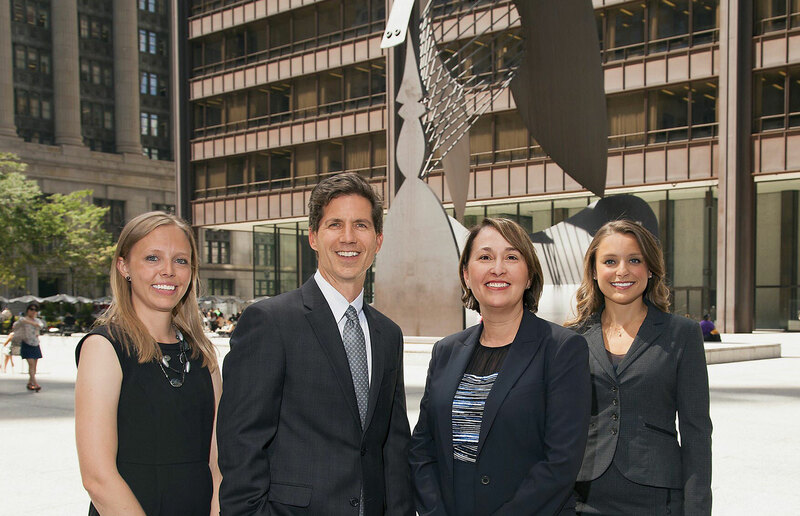 Adria East Mossing was again selected as a Leading Lawyer in Illinois by her peers in the areas of personal injury and professional malpractice. Adria East Mossing was awarded the 2018 Distinguished Alumna Award from DePaul College of Law. The Distinguished Alumna Award is the highest distinction DePaul College of Law bestows. This award recognizes alumni who have reached the pinnacle of their careers and maintained a high level of excellence during their lifetime. Recipients of this award have enhanced the prestige of DePaul by virtue of their character, integrity and personal accomplishments. Attorneys at Mossing & Navarre have been selected as Super Lawyers. Only 5% selected to Super Lawyers and only 2.5% selected to Rising Stars. Peer nominations and evaluations are combined with independent research. Each candidate is evaluated on 12 indicators of peer recognition and professional achievement. Adria Mossing was recently named one of Illinois’ Top 100 Super Lawyers for the 4th straight year. She was also named one of Illinois’ Top 50 Women Super Lawyers for the 5th straight year. She has repeatedly been named an Illinois Super Lawyer in the areas of personal injury and medical malpractice for more than a decade. Bethany Whittles Harris was recently named to the Illinois Super Lawyers Rising Stars list for the 3rd consecutive year in the areas of personal injury and medical malpractice. Adria East Mossing has been selected among America’s Top 100 High Stakes Litigators. Membership among America’s Top 100 High Stakes Litigators is meant to identify and highlight the accomplishments of the nation’s most esteemed and skilled litigators in high stakes legal matters.